Lima (AFP) - Peru's interior ministry said Saturday the final tally of a record cocaine seizure this week totalled 7.6 tons, valued at more than $300,000 million. 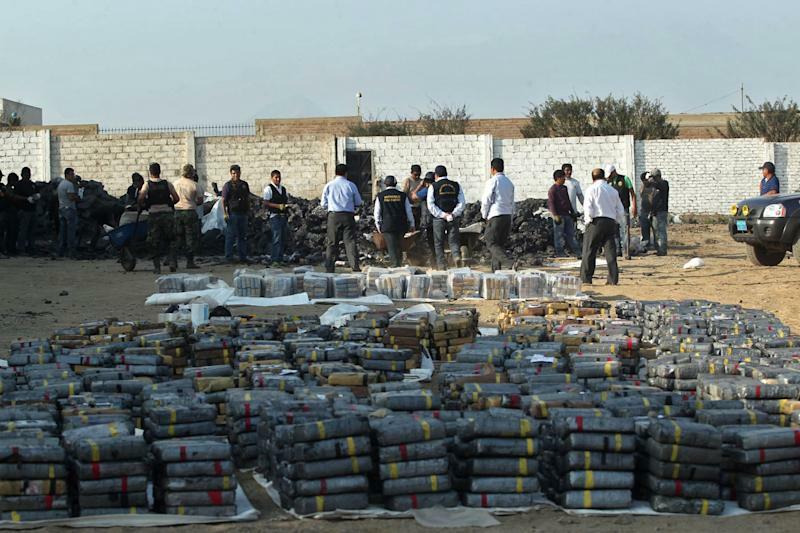 "This is the largest drug seizure ever in Peru. It's historic," said Interior Minister Daniel Urresti. The stack of cocaine was found hidden in a shipment of coal in the Peruvian city of Trujillo and was to have been moved on to Spain and Belgium. Authorities said it belonged to a Mexican drug cartel operating in the country, but did not specify which one. Mexican cartels also often move drugs to their home country and then on into the lucrative US market. Peru and Colombia are now the world's top cocaine producers, UN data show.